The spectacular, time filled mountains, valleys and shores of Italy continue to inspire works of art, including those that are now signed by Nicklaus, Trent Jones and Player. Nearly 300 courses welcome your visit, offered in equal parts of resort and private layouts then a host of nine hole village favorites. Play is found primarily clustered in four regions. The Lombardy Lakes District around and north of Milan boasts some of the best, with Lake Como leading the way. There you will find La Pinetina Golf Club covering 158 acres of Tradate-Appiano Gentile parkland in wonderfully unspoiled countryside near Brianza. Golf Club le Robinie is Nicklaus' ... Read More. lone Italian project and one of the country's most prestigious. Situated at 1200 feet, the Villa d'Este Golf Club lies splendidly in sunny Brianza as one of Europe's most entertaining par 69s. The Milano Golf Club, founded in 1928, is frequent home to the Italian Open. Tuscany is captivating many ways. It is home to Florence. It is a cradle of art and architecture, offering examples from the Etruscan civilization to Roman ruins, Gothic cathedrals and the prolific Renaissance. The landscape is a spectrum of forms, mostly mountainous and hilly, ranging from the Apennines to the coast which offers sandy beaches, headlands, and then the enchanting islands of the Tuscan archipelago. Set among the splendid hills of Mugello, the Poggio Dei Medici Golf Club makes it own contribution. 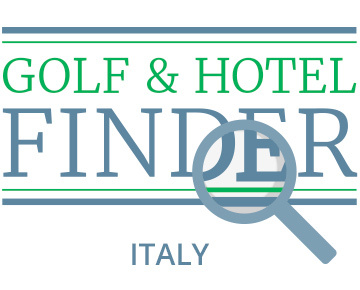 It opened for play in 1995 and was promptly recognized as the best new course in Italy. Condè Nast Traveller has compared this par 73 favorably to the impressive standards of Ireland's K Club and West Virginia's Greenbrier. The Golf Club Le Pavoniere, five miles from Prato, features a wood of holm-oaks, cluster pines and the ever-present cypresses of Tuscany. Prato possesses one of the very rare Italian museums of contemporary art at the Pecci Foundation. 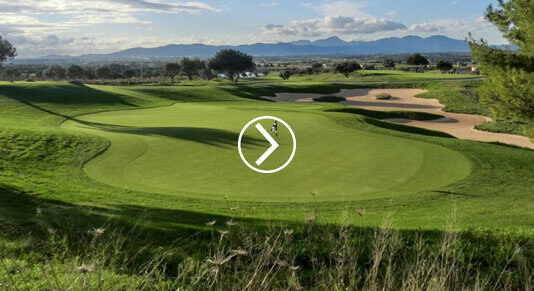 Sardinia will reward your visit with the Pevero Golf Club and her views over one of the most spectacularly beautiful parts of the Costa Smeralda. Robert Trent Jones fashioned this site between tree-covered hills, and a rocky coastline broken by coves and a sea of ever changing color. Custom golf tours are available which you can price entirely online using our exclusive online trip calculator at QUICK QUOTES℠. Of course, we always welcome the opportunity to assist you 800.344.5257 or Information@PerryGolf.com.